The Caledonian, A Waldorf Astoria Hotel, has re-launched following a £24m investment and renovation programme. Formerly the Caledonian Hilton Edinburgh, the 241-room hotel is in the city’s Princes Street and has two restaurants led by Michelin-starred Chris and Jeff Galvin. Among the hotel’s events spaces are eight flexible meeting rooms and its Scottish Heritage listed Castle Suite. A Guerlain spa is set to open in November. 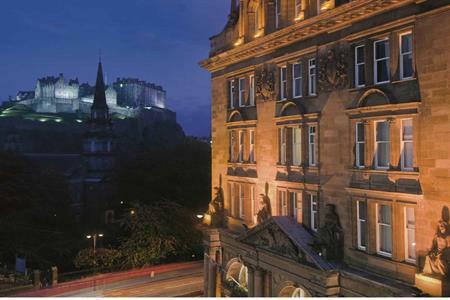 Hilton Worldwide president, Europe, Simon Vincent said: "Edinburgh is a truly international city and we are delighted to have the opportunity to showcase Waldorf Astoria, at a hotel with over 100 years of tradition in Scottish hospitality. "I am sure The Caledonian will quickly be established as a leading luxury hotel in Scotland and our European portfolio." Upcoming European additions for Hilton Worldwide’s luxury brands include: Waldorf Astoria Berlin, expected to open autumn 2012; Waldorf Astoria Jerusalem, expected to open in 2013; and Waldorf Astoria Amsterdam, expected to open in 2014.